My name is Julian. I have been passionately involved in martial arts for 12 years and work as a police officer in Berlin. In 2013, I became aware of Krav Maga through my job. What particularly appealed to me here was the proximity to the military and the police, the short and straightforward techniques as well as the hard and effective training. In 2014, I finally wanted more and decided to attend the CIC. 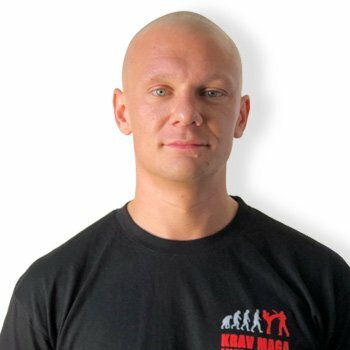 Since then I am a proud member of the team “Krav Maga Berlin”.